Waterfowl... 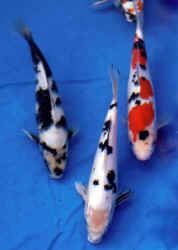 Ducks, Coots, Herons, Kingfishers... "and many more..."
Koi Clubs, Associations, Websites... Info. and Help!